Are Promissory Notes actually Securities before the homeowner signed the mortgage documents? That’s a heavy thought isn’t it? Listen to short clip here. As DeadlyClear interviewed Blue Chip Films Producer/Director Nick Verbitsky about his new documentary film Confidence Game based on the demise and collapse of Bear Stearns, there emerged a confirmation to a missing piece of the mortgage-backed securitization process long suspected by foreclosure defense researchers and analysts that may expose a whole new avenue of fraud and even invalidate/void mortgage loan documents. DeadlyClear interviews Nick Verbitsky and discusses his new film Confidence Game which explores the last week in the life of Wall Street investment bank Bear Stearns in March 2008. Nick remarks that “a shadowy group of hedge fund investors” was alleged to have taken down the firm, but the more he investigated the collapse, it became apparent that there was a lot more to the story. This film is the inside view of what was really going within the mammoth Wall Street firm with an in-depth perspective. See the Confidence Game Trailer here. The rumor of conspiracy that evolved with the help of CNBC and the pugnacious nature and greed of the firm’s rough and tumble reputation that Bear Stearns could do whatever they wanted while they took on crushing debt in questionable securities may have led to a karmic boomerang as an 85 year old firm dropped to its knees and died in what felt like an overnight murder. When Bear Stearns went down there were $400 Billion in financed “assets” (many toxic MBS) and only $12 billion in tangible equity – truly unbalanced and likely what other Wall Street firms are experiencing today covered up by tons of cash poured into them at the will of the administration by the Federal Reserve. DeadlyClear asked Nick if he felt the mortgage-backed securities are what took down the Wall Street giant. Nick takes it back to what led up to their loss of image and caused investors to look closer at their balance sheets. 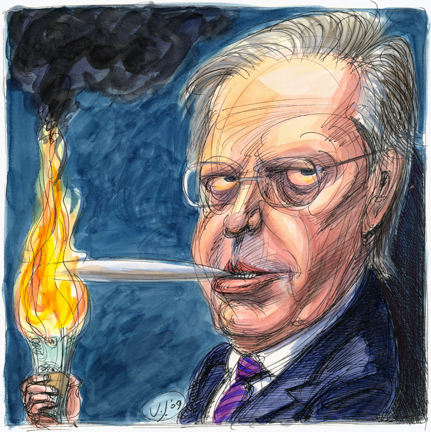 The fact that Jimmy Cayne, who CNBC named as one of the “Worst American CEOs of All Time,” ended up in a Wall Street Journal article deemed to be out smoking pot and playing bridge as the investment deals were crashing, didn’t help to build investor confidence in the firm as it struggled to regain momentum. “There were bells and whistles going off,” said Nick, “in advance of the firm’s eventual collapse.” Listen to excerpt clip here. The money was flowing in to fund the trusts/bonds and mortgages were being written as fast as they could to fill the orders. This is starting to confirm what has truly been suspected for several months, that the investors’ funds had already funded the monies to purchase certificates and their funds, the “Use of Proceeds,” were flowing directly to the borrower. But… in order to invest pension and retirement funds there must have been a vehicle already created. No doubt it sounds like the Trust documents went to the printer long before the borrowers, for the most part, signed the loan documents. Inside those trust documents (in most cases) was a list of identified loans or a Mortgage Loan Schedule that the investor was supposed to have reviewed… due diligence. Think of it this way. The application for a loan turns into unsigned or hypothetical loan documents that are identified inside the Trust to attract investors’ approval to fund the Trust – i.e., pay for the loans. The Trust is or was already created. 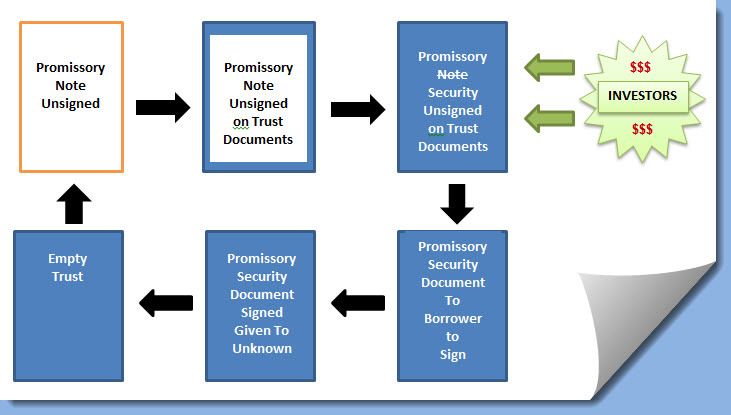 The promissory note is identified on paper printed in the trust documents. Once the note is in the Trust, it becomes a security. The investors funds are applied and the loan documents (mortgage and promissory note security) are then provided for the borrower to sign and whisked away (God, only knows where). The mortgage got recorded and the note – well… the note does not appear again, if then – until default and foreclosure. It’s the chicken or the egg syndrome – and it sounds like a duck, only the borrower has no disclosure that his promissory note was already sold and inside a trust as a security. We’ve always questioned how a loan could be signed, calculated into formulas for the trust, printed and circulated around to investors in a 2-week period of time… kinda unrealistic. And if the unsigned notes were sold or funded by investors – that appears to be Nemo dat… and probably a lot of other violations for investors buying sight unseen, questionable due diligence, pension fund investment guidelines and securities rules and regulations… not to mention state laws. Think about this as you watch the Confidence Game when it airs in a theater or Film Festival near you. Stay tuned to DeadlyClear for a sequel interview with Nick Verbitsky. Nick worked in conjunction with his brother Paul Vebitsky on the film. 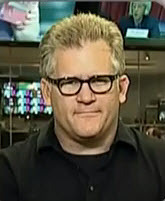 Paul is a founding partner of Blue Chip Films in Norwalk, CT. He manages all phases of production and works in many capacities from producing / directing to editing and project development. Blue Chip has produced TV, commercial spots, and interactive work for VH-1, WEtv, Food Network, PepsiCo, Kraft, and Unilever to name a few. This entry was posted in Uncategorized and tagged "Wall Street", Bear Stearns, Blue Chip Films, CNBC, Confidence Game, Fraud, Jimmy Cayne, Mortgage-backed securities, Nick Verbitsky, Paul Verbitsky, pension, retirement funds by Deadly Clear. Bookmark the permalink. Re: Complaint alleging that the Promissory Notes was sold forward and securitized. On or about May 25, 2007, for valuable consideration, Plaintiff Barry S. Fagan, executed as trustor, and delivered a document naming Defendant WELLS FARGO as Beneficiary, the alleged lender identified as a party thereto and therein, a written promissory note (hereinafter the “NOTE”) with a maximum obligation amount of $. At all relevant times, the identity of the Lender as named therein was a material, bargained-for consideration of the aforesaid NOTE. Fraud in the Factum is fraud that arises from a disparity between the instrument intended to be executed and the instrument actually executed; Leading Plaintiff to sign the wrong contract. Using the single transaction/step transaction doctrine, there were binding commitments to other parties where the loan was sold forward and securitized. Plaintiff believed he was getting a loan, and Wells Fargo’s intention was to get Plaintiff’s name, credit, personal identifying information, tax information, etc. and use it to sell securities to investors. I asked for the closing instructions from the title agency that closed my loan. I found a document with those very words, “maximum obligation amount” and the amount was about $45,000 more than the loan I had applied for. If this is information that is important to make a complaint, could someone please tell me where I should report this document? I also have a document telling the title company of a fine if the closing was not done exactly on the date on the paperwork. What could that have been about? Five entities were shown in these hidden documents that I had no idea was involved, although I did wonder why the originator was paid a BROKER fee when the mortgage referred to the originator as the lender, for which MERS was a nominee. Homeowners, ask for, or subpoena, the closing instructions for your loan; you might be surprised what you find. The documents are not the same as the documents you were given to take home. Most of the time, that stack of papers included an unsigned copy of the note. I have no idea why I didn’t get a signed copy. I worked in this industry and will provide one tidbit. They all securitise the same way, including fannie and freddie. I listened to the clip of the movie. It was not mortgage brokers chasing loans, it was shelf registrations chasing volume. The money to fund the loans does not exist until the borrower signed on the dotted line. Subsidiaries of these deregulated financial service firms provide the warehouse line to fund, knowing they are coming back up the chain to the pool, where they are paid back. The shelf registration requires them to have the loans on the closing date. So, really what you are talking about; is the same group of banks working together to fill a pipeline to get their money back that they created out of thin air, plus the mark-ups along the way. They know where the notes are and who the lender is – they just can’t disclose it because of the REMIC status they are trying to preserve. So does this mean they did not preserve the REMIC status? Is there certain documentation that could help prove the securitization fail if the paperwork was not handled as the REMIC regs demanded? I am in discovery and would like to ask for this documentation if it allows me to prove further that the servicer did not obtain the note through the transfers demanded to preserve REMIC. Is this why they keep saying Fannie is the INVESTOR when the QWR asks to know the LENDER? Failure to preserve REMIC status would happen early in the process, right? If it failed early on, then would not all the paperwork be worthless after the 90 days required to have the loan transferred into the trust? Sounds as if this could be a very serious failure for the banks if they did not preserve REMIC status. Well, we’re in the thick of the fraud by this time and now it’s starting to build into a picture of complicity (investors and investment banks). It’s like saying, “I know what I’m buying is bad – but there’s this insurance scheme and I’ll make money” and then turning around and acting like you were innocent investors and suing the banks when the bottom fell out and the insurance dried up. Frankly, the insurance guys look just as bad. Otherwise, the investors would be in bed with the borrowers because they both got duped… But the investors risk the truth coming out that they didn’t do their due diligence and what they were sold were risky loans …and that they knew there were inflated appraisals… The borrowers had no idea what was going on because they had no disclosure. And if the investors sided with the borrowers it would likely come out that the promissory notes were securitized and non-negotiable BEFORE the borrower signed… Which would mean the banks were selling securities without disclosure or a license. As for serious – could be felonies… Could be billions of dollars in tax liabilities owed by the investors because they spent money on fraudulent enterprises that they knew or should have known were set up to fail. Let me make sure I am getting this. Is the late assignment you are talking about the assignment of mortgage just before filing suit, or are we talking about the indorsement of the note in blank? In my state, the supreme court has held that ownership is controlling and possession of the original note is mandatory at the time of filing the suit, AND that the mortgage assignment from MERS is a mere incident — not even necessary, since the mortgage follows the note. Four supreme court decisions agree, but three are not yet published. Only one dissenting opinion from those not published. This was great news for me, but I’ll be a bit concerned if these decisions are not published before my trial. Who knows how one dissent could influence the others? Thank you for this excellent site. I have little time before trial, so I’m really digging to stay current with what is being uncovered. I read the transcript you posted here about CW and BoA. Do you know what happened in that case? I’m searching online, but have found nothing yet. @Deadly Clear-Thank you for this insight. I have been trying to figure out why the investors will not join with the “borrowers” (read as loan contract creators) in a work out solution on the individual homes. I think that you are getting close to the core of the issue: that the investors did not rely on the repayment of the loan by the “borrowers” but were relying only on the liquidation of the loan by the (usually engineered) default triggering the insurance payout. Whereas I thought the investors were equally victimized along with the homeowners,, it now seems likely that the investors have been paid in full by mortgage insurance payments. If it is shown that the investors have already been paid back their investment in the loan, then it could be shown that there is no injury to the investors in the REMIC trust and they do not have standing to sue through their servicers, which are claiming to sue for the trust. I have long suspected that the servicer and the law firm are not in direct contact with the trustees of the REMIC trust. The trustees are so passive that the trust itself lacks the activity of an actual trust. Such a finding would mean that there is no REMIC trust, no preferred tax status and no standing to sue as a separate entity, even if the “loan” documents were lawfully delivered to the trust as required by law (within 3 months per 26 USC sec. 860D) which we have conclusively shown in case after case did not occur. The late assignment of mortgage forged by the employees of the servicer pretending to be officers of MERS or a defunct originator proves that fact again and again. Further proof of the REMIC trust failure is the suddenly appearing copy of the mortgage note with an “endorsement in blank” which are stamped using the name of employees as officers of the original “lender,” who are not officers of the original “lender.” Rather, they were document processors who were falsely given titles as officers. The same is true of Affidavits of ownership filed by loan servicers: the signers do not hold the official capacity stated in the Affidavits. I even have one case where signature of notary authenticating the Affidavit reads “Identified by ‘Driver’s’ (on a pre-printed line for type of identification) and ‘License’ on the pre-printed line for the notary signature. So, “Driver’s License” authenticated the signature of the false Vice President (document processor) of Bank of America. Frighteningly, Summary Judgment was granted on the basis of the Affidavit and had to be vacated. The bottom line seems to be that millions of American homes are being foreclosed by a data base in MERS cases, on documents forged by servicers’ employees, who are not officers of MERS or the original lender, when the original documents were never delivered to the REMIC trusts in favor of investors who have already been paid in full.